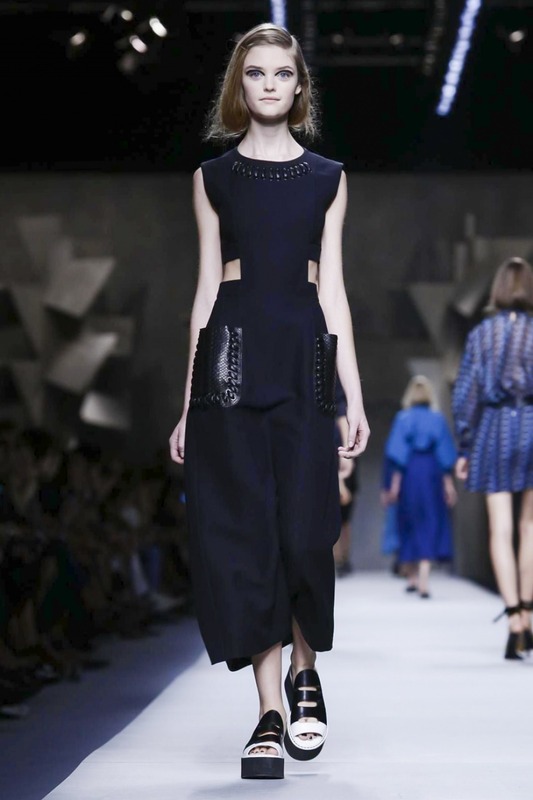 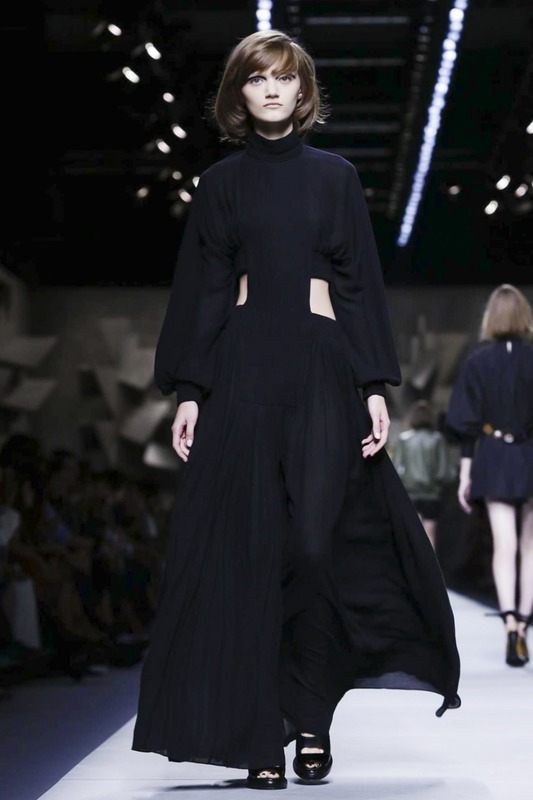 Fendi Spring/Summer 2016 ready-to-wear collection was shown Milan Fashion Week, September 24.2015. 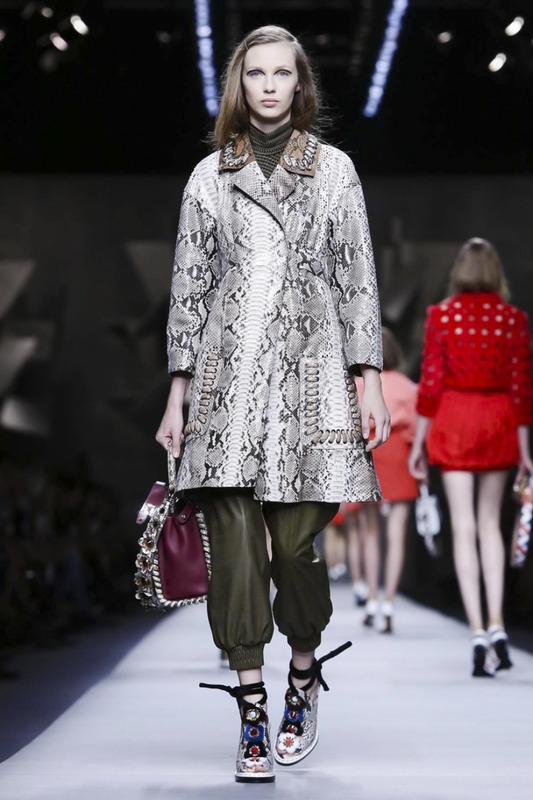 As always Karl Lagerfeld and Silvia Fendi come up with for their Spring/Summer collections considering that this is a Brand famous for its expertise in the leather and fur , who cares that this two materials must be wear in the cold weather. 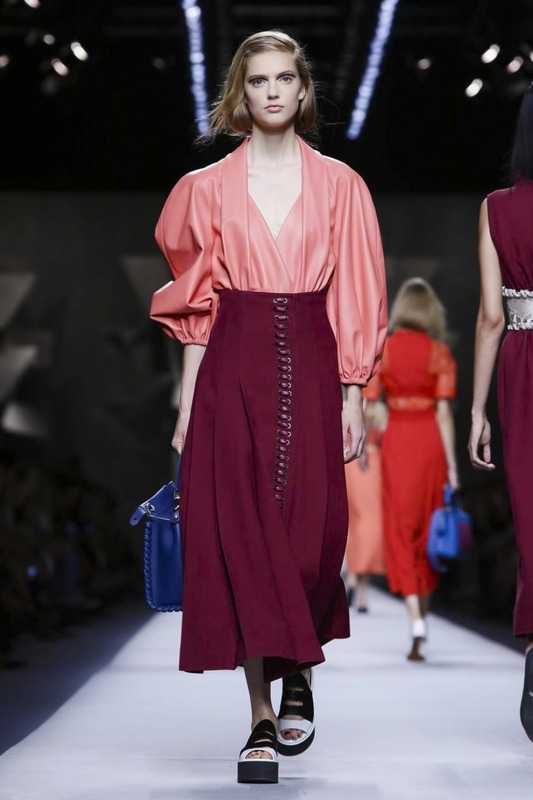 Big sleeves and high necks, there is an Edwardian Inspiration in Fendi collection ,even slouchy bombers getting a historical and voluminous revamp with billowing leg-of-mutton sleeve Action.The colours are red, coral, white, and is moves on through to teal and black. 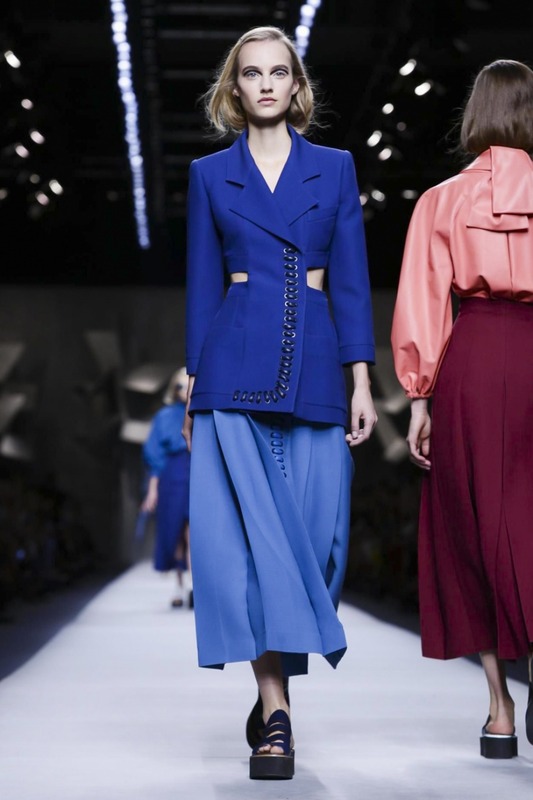 Pockets and brace details are thickly stitched into place or appeared stapled ; cut-outs flashed flesh so that an expanse of back is reveale behind or at the waist; thick suede latticework for neat boxy jackets; gleaming petals punctuating bodices.But this toughness, this edge, was counterbalanced by those billowing blouses and gowns that invited a breeze to pass on through them. 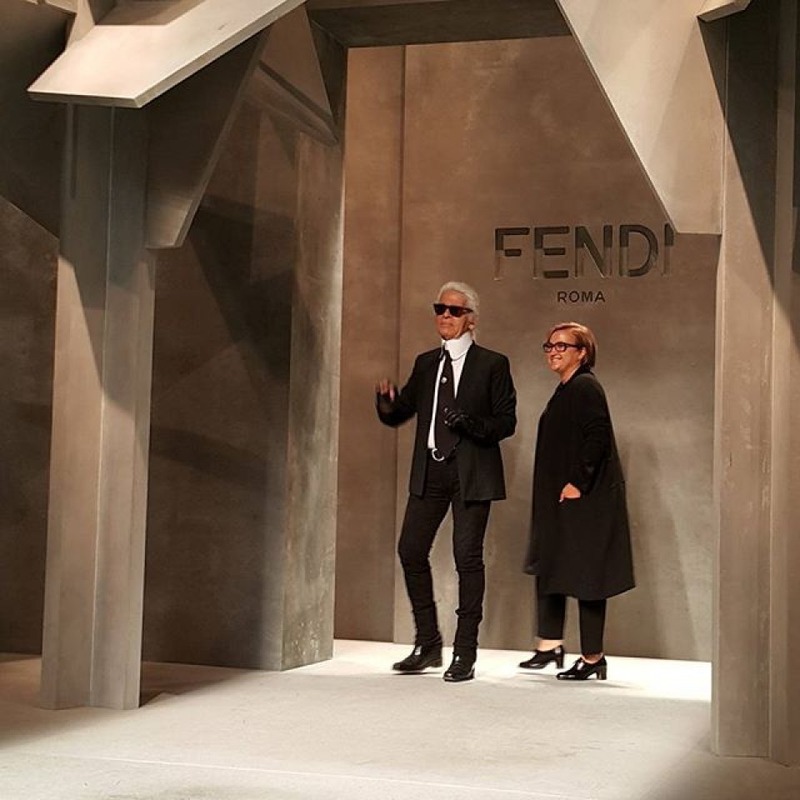 And as always at a Fendi show, the eye is on the lookout for new-season accessories. 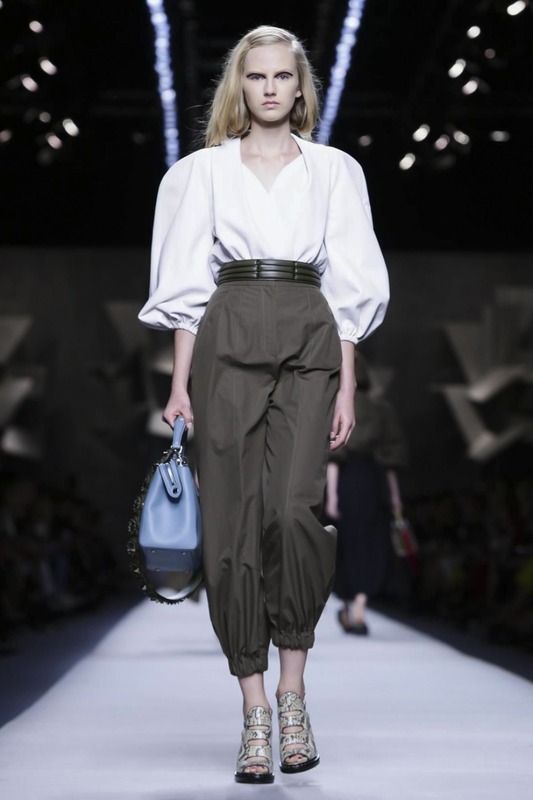 Here boxy bags held in the hand with just a hint of a strap to slip your fingers through to keep them close at all times – for, let’s face it, you never really want to let a Fendi bag out of your sight!